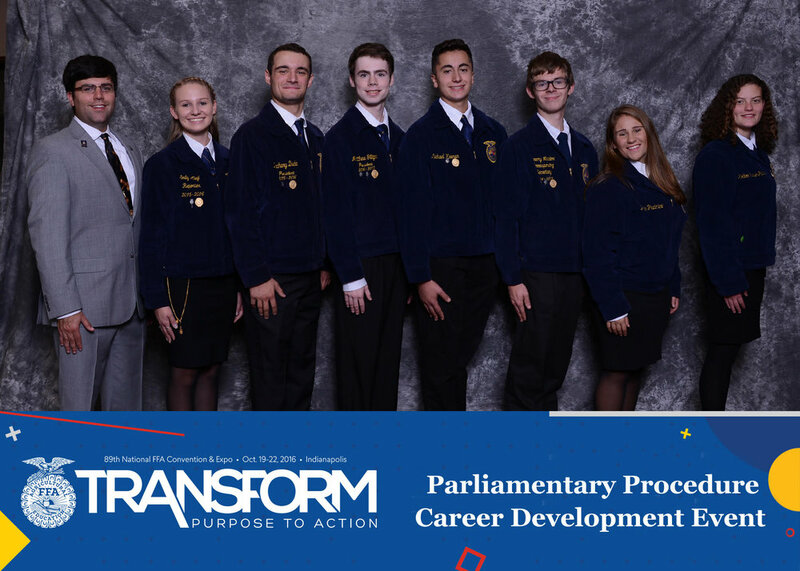 Career Development Events (CDEs) help FFA members develop the abilities to think critically, communicate clearly, and perform effectively in a competitive job market. Some events allow students to compete as individuals, while others allow them to compete in teams. There are 25 CDEs, covering job skills in every area from communications to engineering. 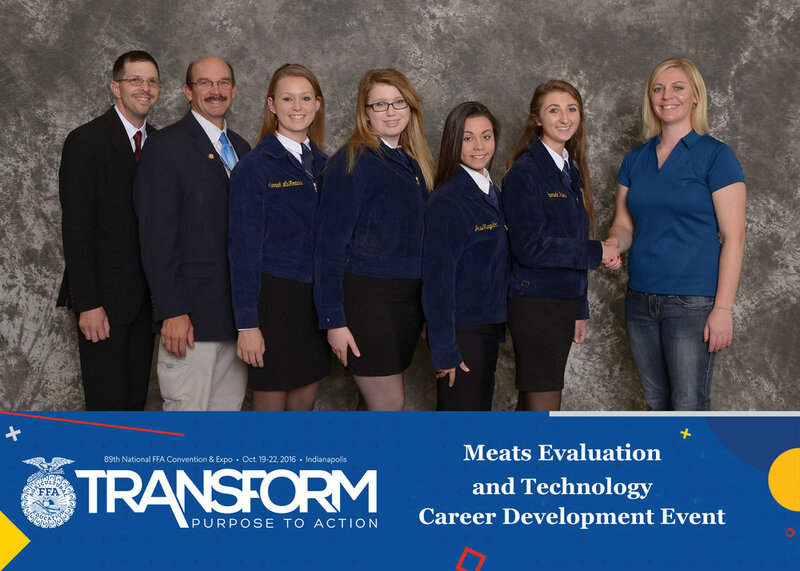 Our chapter sent 52 students and graduates to compete at the 89th National FFA Convention in Indianapolis, Indiana. The Woodbury FFA Chapter is the only chapter in the nation, out of nearly 8,000 chapters and 650,000 members nation-wide, to send 8 teams to the national competition from one chapter in the same year. Pictured, left to right, coach William Davenport, Cody Brennan, Megan Davenport, Samantha Ismail, Emily Meyer and an Industry Sponsor representative from Allflex. All earned individual medals - Gold, Gold, Silver, Silver, respectively. Megan placed 10th individually, earning a $400 scholarship. Pictured, left to right, coach Eric Birkenberger, Catherine Dunham, Courtney Gibson, Shannon Goggin and Elizabeth Nielsen. All earned individual medals - Gold, Silver, Gold, Gold, respectively. 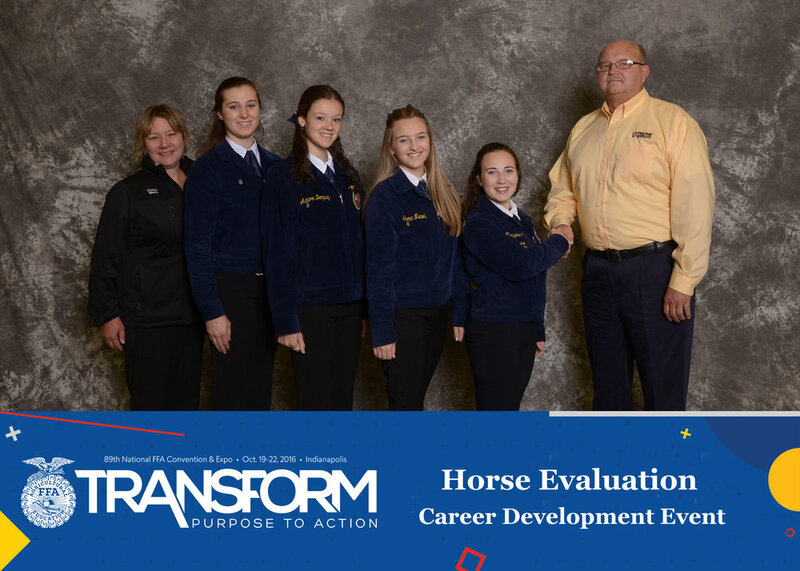 Pictured from left to right are coach Jason Woike, coach William Davenport, Danielle Gosselin, Brie Gustafson, Jesse Hungerford, Amanda Pelosi, and an industry sponsor representative from Cargill. All earned individual Silver Medals. Pictured, left to right, coach Liz Webb, Alex Daskam, Autumn Dempsey, Emma Newell, Maya Samuelson and an industry sponsor representative. All earned individual medals - Bronze, Silver, Silver, Silver, respectively. Pictured, left to right, Advisor John Farrell, Mykayla Jaye, Erin Korowotny, Sara Pokrywka, and Iris Stumpf. All earned individual medals - Bronze, Bronze, Bronze, Gold, respectively. Pictured, left to right, coach Ed Belinsky, Sebastian Goodbou, Eric Mockovak, Burleigh Brahl and Hunter Wilson. All four students earned individual Silver medals. Pictured, left to right, coach Tom DiMarco, Emily Alegi, Zach Duda, Matt Gilligan, Mike Keenan, Jeremy Maddox, Julia Piscionierre and Sharon McCarthy. All earned individual Silver Medals. Pictured, left to right, coach Tom DiMarco, Megan Andrew, Caitlyn Cerasale, Jack Corso, Jasmine Julian, Emily Kern, Andrea Wheeler and Abbygale Wood.